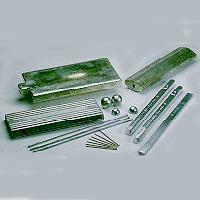 Our company manufactures all the standard type solders including bar form. Ingot form ball wire. These products are manufactured using the RS method to reduce oxidization of the Tin, increase conductability and enhance spread after melting. All these factors combined make our solder highly effective and an excellent value. solder bar, solder wire, flux, thinner, solder paste, electric component, auto machine equipment, motor.